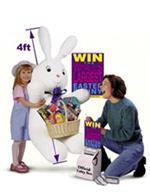 Bring Your Customers An Opportunity They Will Love With These Giant In-Store Sweepstakes Toy-Filled Promotions. Boost Family Traffic And Increase Sales! Get Great Word Of Mouth And Repeat Business! Get Free Publicity And News Coverage! 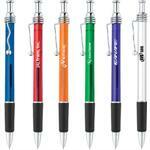 Best Pen Value Mix And Match Barrel Trim colors.. Prices Vary For Each Pen. 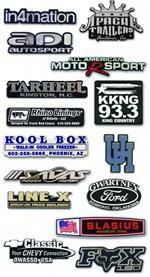 Minimum Order is 300.. E-mail Your logo To autoadsales@aol.com And We Will Call You With A Quote. 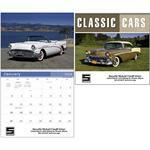 Custom Imprinted Calendars Can Be Printed With Your Name On Them And Your Logo. What A Nice Give-A-Way To Keep Your Customer's Coming Back. 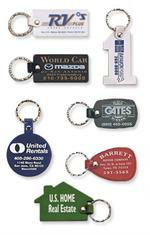 Custom Molded Vinyl Key Fob. 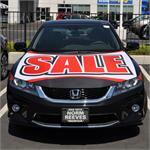 Imprinted With Your Dealership Information. GENERATE MORE TRAFFIC IN YOUR STORE !!! 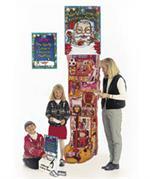 With The World's Largest Christmas Stocking, With Your Logo And The Hottest Licensed Toys.!! Complete Promotion In A Box. Each Carton Contains A Complete Promotion For Easy Set Up In The Store. Vinyl Document Holder. Full Flap - Opens Like A Book. Dimensions 9 7/8" x 6 7/8 " Imprint Area 8 7/8 x 6 1/8. 300 Minimum Order. Minimum Quantity Is 200. $1.56 Each. 2600 Is .98 Each. Please Call for Rush Service If Nescesary. 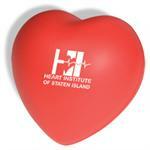 If Your Looking For Different Shapes Please Search Our Promotional Products Page On This Website. Hitch Covers Are Available In The Regular Size (2 Inch) Post And The Junior Size (1 1/4 Inch) Post. Cannot combine Regular An Junior Sizes For Pricing. Exclusive 4 Way Fit Allows Ad Copy To Run Vertical Or Horizontal. Minimum Order is 250. Motorcycle Products Do Not Fit In All States. Please Tell Us The Measurements You Need. Raised Letters Or Screened Frames Are Available. No Set-Up Charges, Rings Attached. Looking For An Inexpensive Giveaway? Great Fundraisers for Organizations and Schools, Print Your Logo In Vivid, Long Lasting Colors or Four-Color Process On One Side And Your Hours And Phone Number On The Back. Punchable Key Fobs, Rings Attached. Whether You Are Looking to offer A Free Oil Change, Soft Drink, Car wash Or Any incentive, the Punchable Key Fob Is A New And Innovative Marketing Tool That Will Surely Keep Your Customers Coming Back. Shirts,Caps, Jackets Are Available With Your Name On Them. We Can Embroider or Screen Print. Please Call For Pricing. 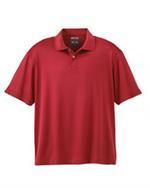 You can browse this website.. www.catalogsportswear.com for additional styles. Please e-mail artwork to autoadsales@aol.com. Heavy Woven backing. Choose Your Design And Measurements. Call For Quote Or E-mail Us At : autoadsales@aol.com. Minimum Order 25 pcs..
Acutal Delivery Time Depending On Size Of Emblem. Double Stick Mounting Tape is 1/32" Thick. See Color Chart For Standard And Premuim Imprint Colors. Intricate Lettering Is Anything That Requires Cutters Less Thank 0.047 Inch And Can Not Be Done.